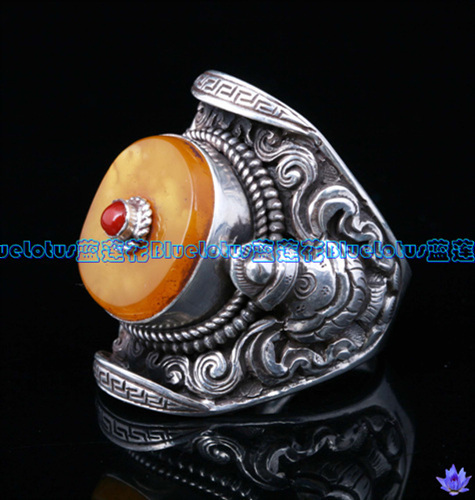 Tibetan Handmade Ring Tibetan Mila Rings! ! 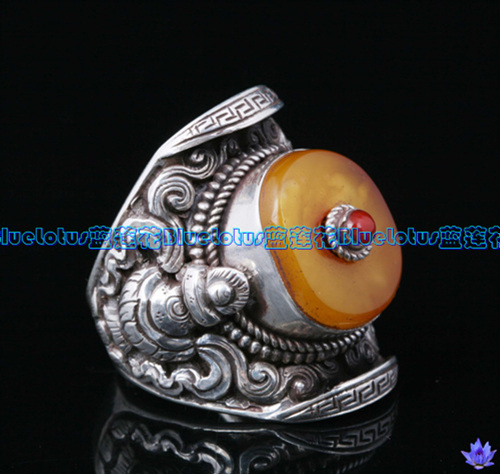 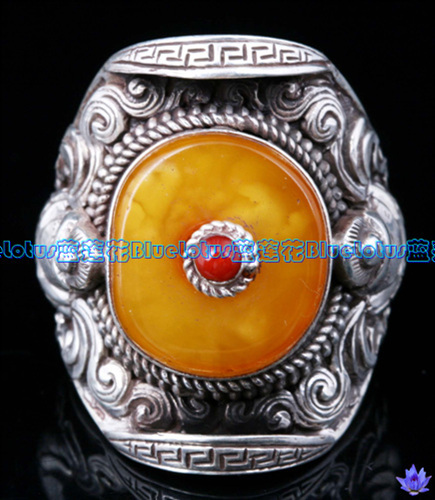 This Tibetan ring was handmade by the Tibetan craftsman in Tibet from sterling silver and mila amber. USA Finger Size; 9.5, Ring size: 31x27mm. 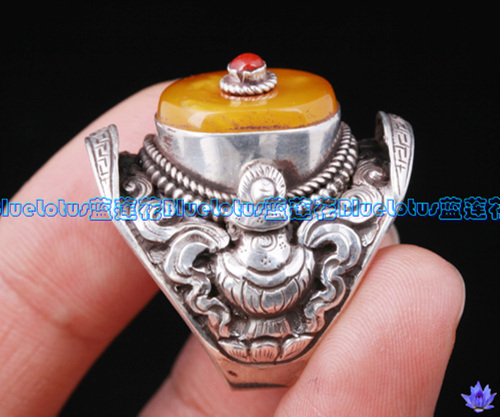 Mila size: 18x16mm. 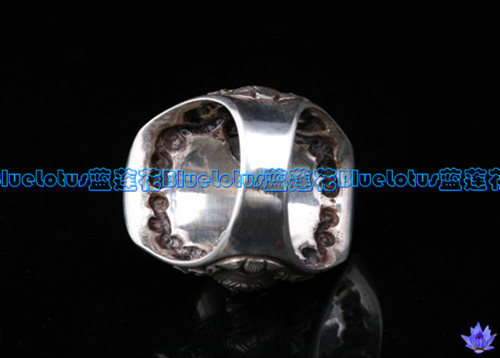 Weight: 23.4g.